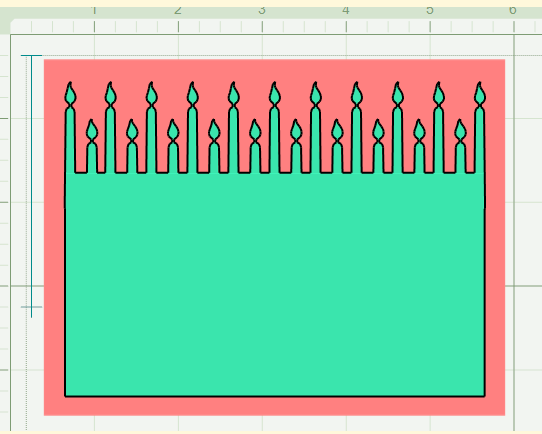 Yesterday I shared a candle border created from the Hanukkah menorah image on the Joys of the Season cartridge. (Here is a LINK to that post). 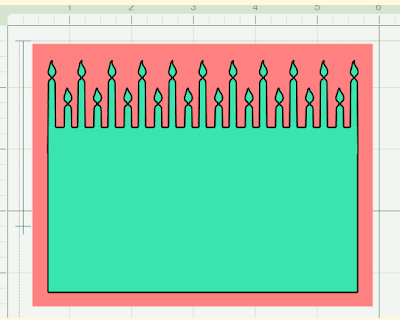 Today I designed another candle border. I had planned to post a different project tonight however, I found these candles on the Christmas solutions cartridge and decided to try them for a smaller card (A2 size). 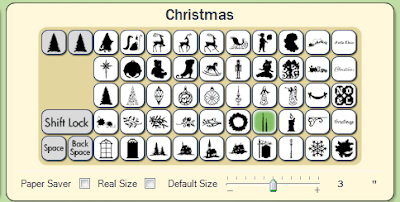 This screen shot of the keypad shows the location of the candle image. There is one tall and one short candle which will result in an alternating pattern (instead of the four - one - four pattern of the Hanukkah menorah). Here is a closer view of the image. 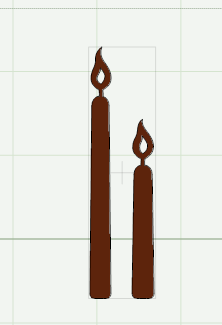 I decided to use "hide selected contour" on the inner part of the flame since the candles would be very small in the border. Since there are two lines to hide, they will stay hidden when the file is closed and reopened. If you look closely, you will see that I hid the final short candle to get a more finished look (and an odd number of candles). 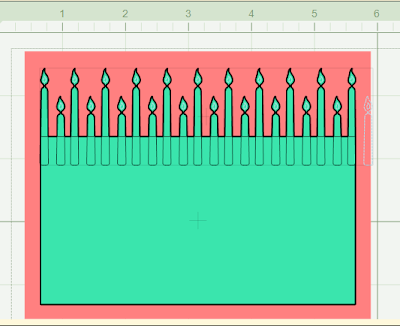 There are 21 candles so this would be great for a milestone birthday card. 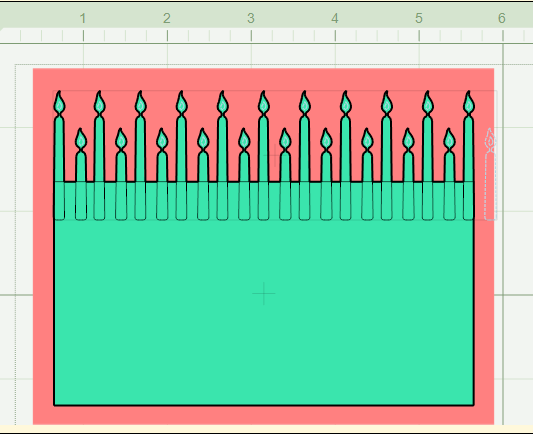 The candles are welded to a rectangle. I used a rectangle from the George cartridge - there is not a simple rectangle cut on the Christmas cartridge (though I did find one that I can use if I do some more hidden contours). You can substitute any rectangle from a cartridge you own if you don't have George. The weekend has been busy here - I hope you all have been having a nice holiday. Our son is leaving to go back to college tomorrow morning. I didn't get a chance to test cut this file today, so I will post the file as soon as I have tested the cut. It is always fun to find new ways to use the images on the cartridges. Design Studio can help you to create the cuts that you need (and save you money on punches too!). oHHH....what a great look....can you please share the cut file for this cool candle border? Thank you for sharing your talented gifts...I enjoy your daily blog updates very much!! Very nice Diane!!! The candle cards are so sweet! Love your designs, and I can't wait to see what else you come up with!!!! Thank you for posting even with so much going on this weekend! I also wish your son a safe trip back to college. Hi Diane!!! Thanks so much for the clever ideas on making "borders without punches". I LOVE punches specially Martha Stewart's. I have noticed we have similar taste in selecting punches and carts. Unfotunately, we do not have Michael's, AC Moore or Joann's in Puerto Rico. I have to order everything on line, mostly through ebay, OMC and, Joann's.